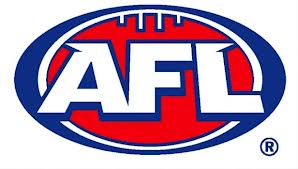 The AFL has announced this week that the 2014 season will consist of 24 rounds with an added bye and will discard of the NAB Cup grand final. The season will run over 25 weeks, each club will have two byes and round 1 will be split over two weeks. With the addition of the extra round, the season will start a week earlier than this year, March 14th, and the NAB Cup grand final will no longer take place, with teams set to play two pre-season warm up games. While these new changes will be welcomed by most players who have been pushing for two byes in the season, we are still faced with numerous unsolved problems with the fixture. Dead-rubber games, the possibility of tanking and teams facing an easier draw compared to other sides still remain an issue. The prospect of dead-rubber games, such as the one this week between the Western Bulldogs and Melbourne, remains an issue that has only been marginally addressed. With the new 24 round season, the AFL has introduced a weighting system that places teams into categories depending on where they finished the season before. Teams placed 1-6, 7-12 and 13-18 are grouped to determine the fixturing for return games. Teams placed 1-6 will have to face two or three other sides in the same bracket twice and only face sides placed 13th-18th once. Sides in the middle bracket, 7-12, only face the prospect of playing one or two top six sides twice and the sides in the bottom bracket, 13-18, only face the top six sides once. With such an even competition between the 7th-13th placed sides, Port Adelaide in 7th on 12 wins and West Coast in 13th on 9 wins, there is a clear advantage in finishing 13th for the following season and also finishing 7th so you are outside the top six placed teams. While tanking is still an issue and will continue to be an issue unless a draft lottery system or bottom placed playoffs are conducted, this new fixturing structure could now see teams around 12th-15th place on the ladder tank later games in the year in order to gain an easier fixture the following year. One simple way to eradicate any unfair advantage would have been to introduce a 17 round fixture where each team plays each other once. By implementing this possible structure the AFL is reducing the amount of dead-rubber games near the end of the season while also following the theory that less is more when showcasing the product. Not only does it benefit the viewing audience but the players gain a huge benefit from the structure. With the likelihood of a bye possibly between rounds 9-11 and with five less games played, player’s fitness levels will remain higher by the end of the season. We face a higher likelihood of less injuries come finals with teams playing their best sides to produce the best product that the AFL can offer. One major obstacle that is stopping the change to a 17 round season is the TV rights deal. Channel 7 and Fox Sports have paid for 23 rounds of AFL plus finals to be shown a season until the end of the 2016 season. By reducing the season to 17 rounds, these networks would be looking for a fair slice of the $1.253 billion back; something the AFL won’t be entertaining. If the AFL is still looking to extend the 17 round fixture over a 20+ week period, why not include an all star weekend showcasing the best young talent from the AFL and TAC cup level as well as a form of representative football for the best in the game. They could also extend the top 8 to 10 with an extra week of finals or even introduce a playoff round for the finals series similar to the NFL system. With the AFL’s eagerness to change rules and structures year by year, why not give the game a major shake-up and continue to find new ways to appeal to a broader audience in Australia and around the world.